It is hard to know which country would be the first to challenge the Trump administration with a serious foreign policy crisis, but North Korea was clearly a candidate. With Kim Jong Un’s personal promise to test when he felt like it in his New Year’s speech and Trump’s “not going to happen,” it seemed like a good bet that Pyongyang would provide an early test. But as Secretary of Defense Mattis heads to the Asia-Pacific to reassure Japan and Korea on the alliances, the real test may be more subtle: subtle Chinese pressure on South Korea to reverse its commitment to deploy a missile-defense system called THAAD (Terminal High Altitude Areas Defense). Sanction specific local governments of the ROK which accept the deployment of THAAD, and sanction ROK-based firms and service suppliers related to the deployment of THAAD. China should terminate its economic ties and social exchanges with them, and should no longer let their products enter the Chinese market. Sanction Korean politicians who advocate for the deployment of THAAD, refuse to let them enter China and sanction their family businesses. The PLA should develop corresponding plans that best minimises the harm the deployment of THAAD would pose to China’s strategic and security environment. These plans at a minimum should include the technical interference on THAAD and targeting of its deployed missiles. Reevaluate the long-term impact of sanctioning DPRK in the Northeast Asia, and tie together the sanctioning regime imposed on DPRK with the eroding regional balance of power after the deployment of THAAD. Explore the potential of China-Russia joint action to offset possible impacts of the US-ROK deployment of THAAD. As bad as this sounds, it is actually proving more insidious. Like the swarm of “fishing boats” that have played a role in China’s South China Sea policy, no single action is easy to call out. Nonetheless, a clear pattern of slow-burn escalation is emerging. The issue started with K-pop musicians. There was some ambiguity if they were really turned back as a result of THAAD. But that was cleared up by Councilor Fang Kun at the Chinese Foreign Ministry who told reporters in December “that it is hard for Beijing to adopt a policy supportive of Korean pop culture unless the THAAD issue is resolved first.” Translation: “we aren’t restricting Korean performers because of THAAD, but we are” (KBS). 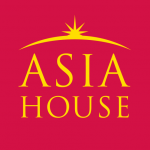 The center-left Korean daily Hankyoreh provided an inventory of recent Chinese actions in addition to restricting broadcast appearances by Korean entertainers: banning charter flights from South Korea—circuitously admitted in the Foreign Ministry press conference of January 6–and auditing local affiliates of the Lotte Group, which provided land for the deployment. This line of action appears to have borne fruit as the group is slowing down the approval of a transfer of the land for the anti-missile defence battery. The drip of restrictions has even extended to the South Korean export of bidets. Actions with more plausible deniability include the exclusion of LG Chem and Samsung SDI from approved electric battery suppliers list–arguably connected with Samsung’s phone problems—and reopening an investigation toward expansion of anti-dumping tariffs on South Korean polysilicon for use in solar power. But who knows? And the pressure appears to be accelerating. In the last two or three days, Chinese officials reported that 11,272 kilos worth of Korean cosmetics were banned from entering the Chinese market due to lack of proper paperwork (Hankyung) and stock prices for companies exporting to China, including those in the entertainment and cosmetics business, have been in free-fall mode, itself showing that the signal is being heard (Chosun). And there is now an escalation on the military side as well (Korea Joongang Daily). Three weeks ago, the Ministry of National Defense revealed that the Chinese had unilaterally cancelled nine bilateral military meetings and talks since the THAAD deployment was announced. These included the annual Vice-Ministerial talks and has ignored any and all communications from the ROK MND (YTN). Now there are even reports of direct military action. Between 10am-3pm on January 9th, a dozen Chinese military aircraft, including a bomber, early warning radar craft, and intel collection platform violated the Korea Air Defense Identification Zone (KADIZ). The dispatched fighter jets in response and sent an immediate communication via ROK-PRC military hotline but the communication was ignored. The ROK government allegedly tried to suppress media reports of this incident but failed to maintain the media embargo because Japanese media had jumped on it. The seriousness of these events caught the attention of Senator John McCain, who slammed China’s bullying. The two major political candidates for the presidency in the South—if Park Geun Hye is impeached—have cautiously rallied behind THAAD deployment. But the issue is not straightforward in Korean politics as China looms ever-larger as a trading partner and the country remains divided on the necessity of THAAD. If China can successfully pressure the Philippines, Norway and even Britain on a variety of issues, why not South Korea? 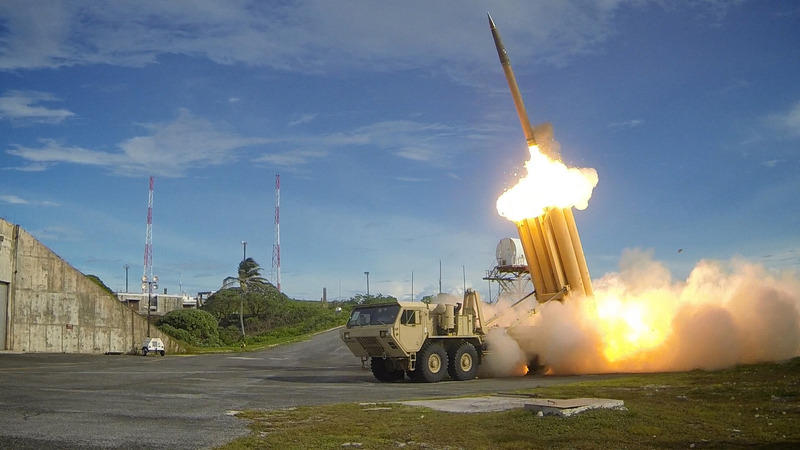 The issue of THAAD deployment is likely to be one of the early and more complex tests for the incoming Trump administration, signalling how he deals with China on core security as well as economic issues. Professor Stephan Haggard is the Lawrence and Sallye Krause Professor of Korea-Pacific Studies, director of the Korea-Pacific Programme at the Graduate School of Global Policy and Strategy, University of California San Diego. This article was originally published at the Peterson Institute for International Economics. It is published here with kind permission of the author. Image credit: CC by U.S. Missile Defense Agency/Flickr.